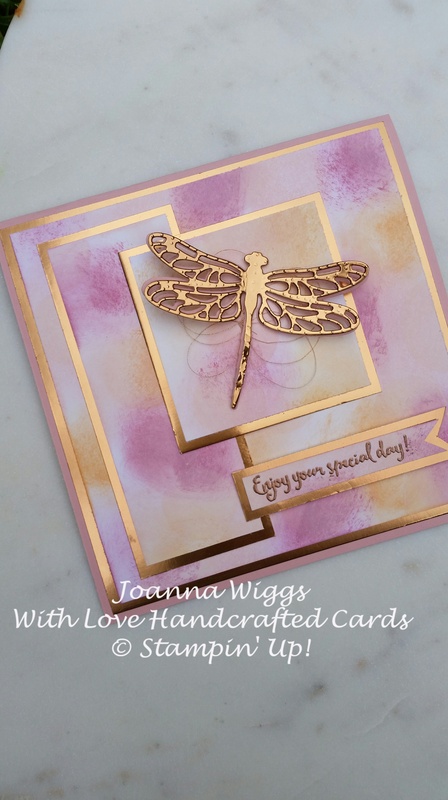 When I saw the Dragonfly Dreams stamp set in Stampin Up’s new Occasions Catalogue I knew I just had to have it. I decided to enter the challenge to be on the Colour INKspiration design team. It has always been a goal of mine to be on a design team so I thought that I would give it a go. 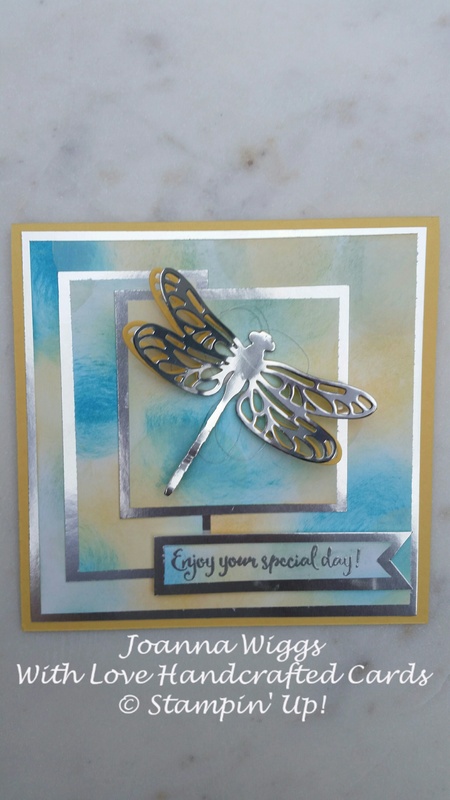 I created two cards using the Dragonfly Details framelits. One using Sweet Sugarplum, Peekaboo Peach and So Saffron. The other using Tempting Turquoise, So Saffron and Mint Macaroon. I used the Bokeh technique to create the backgrounds. Then I added either copper or silver metallic thread and matching foil sheets for a bit of contrast. I absolutely love this stamp set and matching frameltis and plan on using them again!! !